The top 10 most downloaded movies on BitTorrent are in again. 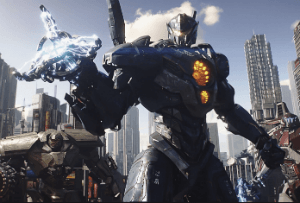 ‘Pacific Rim: Uprising’ tops the chart this week, followed by ‘Avengers: Infinity War’. ‘Deadpool 2’ completes the top three. Pacific Rim: Uprising is the most downloaded movie. Deadpool 2 has kicked Avengers: Infinity War off the US box office top spot. The merc with a mouth’s second outing was released in the US on Friday (May 18) to decent reviews and made $125 million in its debut weekend (via Box Office Mojo). In comparison, the third Avengers film – now in the third week of its release – took $28.7 million to come in at a distant second place. However, Avengers: Infinity War took double what Deadpool 2 made in its own opening weekend, with $250 million (via Box Office Mojo). And, unlike Infinity War, Deadpool 2 hasn’t broken a single box office record, so we doubt Thanos is too worried. Marvel is probably thrilled, though. In third place at the box office is another debut in the form of Book Club. The film, which doesn’t come from the MCU and stars Diane Keaton and Jane Fonda as members of a book club that tackle the Fifty Shades book trilogy alongside lashings of wine, took a respectable $12.5 million in its own opening weekend. Melissa McCarthy’s middle age college outing Life of the Party came in fourth at the US box office this weekend with $7.75 million, while Gabrielle Union’s home invasion thriller Breaking In took $6.5 million to round off the top 5. 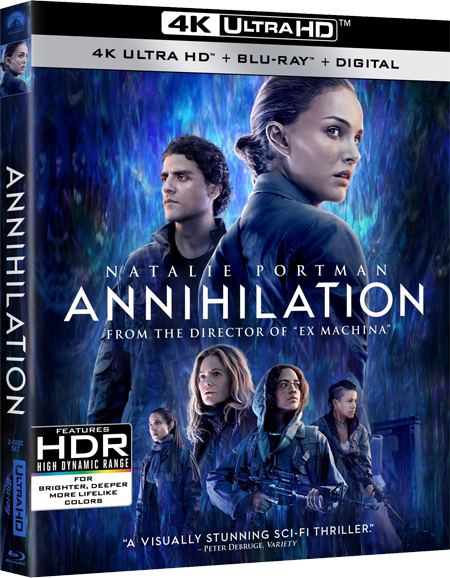 The top 10 most downloaded movies on BitTorrent are in again. ‘The Greatest Showman’ tops the chart this week, followed by ‘Star Wars: The Last Jedi’. ‘I Kill Giants’ completes the top three. The Greatest Showman is the most downloaded movie. Black Panther has been knocked off the top of the US box office. The Marvel film held off Tomb Raider last weekend to become only the seventh film ever to cross the $600 million mark in North America, but was toppled by Pacific Rim Uprising this weekend. The film sequel stars John Boyega and Scott Eastwood and took $28 million in its opening weekend, a paltry performance considering the movie took $155 million to produce before marketing. Nonetheless, it was enough to topple the seemingly unstoppable reign of Black Panther, which came in second at this week’s office, taking in $16.7 million. However, that helped to officially make Black Panther the highest grossing superhero movie of all time though, so it’s not all bad news for the world of Wakanda. Once again, underdog film I Can Only Imagine – based on the classic Christian love song – charted in third place. The film took $13.8 million in its second week, beating out new entry Sherlock Gnomes, which came in at fourth place and took $10.6 million in its opening weekend. Fifth place goes to Alicia Vikander’s critical miss Tomb Raider, which took $10.4 million in its second domestic week, while A Wrinkle in Time charted in sixth with $8 million. Love, Simon ($7.8 million) came in seventh and Sony’s Paul, Apostle of Christ took eighth place with $5 million. In ninth place at this weekend’s box office is Game Night ($4.2 million) while Bella Thorne movie Midnight Sun rounds off the top 10 with an opening weekend total of $4.1 million. The top 10 most downloaded movies on BitTorrent are in again. ‘Justice League’ tops the chart this week, followed by ‘Thor Ragnarok’. ‘Pitch Perfect 3’ completes the top three. Justice League is the most downloaded movie. Ryan Coogler’s Black Panther has smashed the US box office with $192 million in its opening weekend. The Marvel superhero movie had the fifth-biggest opening weekend ever, beaten only by Star Wars: The Force Awakens, Star Wars: The Last Jedi, Jurassic World and The Avengers. It’s also the highest-grossing February opening weekend, and ranks among the top 15 global debuts ever. According to comScore, 37% of moviegoers were African American. It holds a 97% fresh rating on Rotten Tomatoes, and has been a hit in the UK, with day one takings of £2.6 million (about $3.7m) – beating both Thor: Ragnarok and the Benedict Cumberbatch-led Doctor Strange in terms of first-day money. Meanwhile, Black Panther‘s Michael B Jordan secretly sneaked into public screenings on opening night to find out what real audiences made of his turn as Erik ‘Killmonger’ Stevens. “Honestly, everybody was laughing, they were yelling at the screen, you know what I’m saying?” he said. “The gasps, the one-liners, everything was working so it was cool to see it with a normal audience – not at a premiere, not at a press junket. As well as Jordan, Black Panther stars include Chadwick Boseman, Lupita Nyong’o, Danai Gurira, Martin Freeman, Daniel Kaluuya, Letitia Wright, Andy Serkis, Winston Duke, Angela Bassett and Forest Whitaker. Black Panther is out in cinemas now. The top 10 most downloaded movies on BitTorrent are in again. 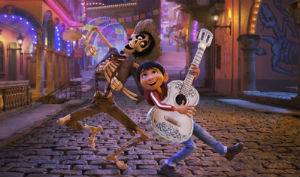 ‘Coco’ tops the chart this week, followed by ‘Thor Ragnarok’. ‘Daddy’s Home 2’ completes the top three. Coco is the most downloaded movie. Fifty Shades Freed has been given a proper thrashing by critics across the world but despite the fears of some in Hollywood, and even without any full-frontal Jamie Dornan bits, there are movies that are absolutely critic-proof, and the final part of the Fifty Shades trilogy is one of them. The film has topped the US Box Office this weekend, according to the latest figures from Box Office Mojo. It racked up $38.8 million over the weekend, putting it at number one and ahead of two other new entires in this week’s chart. In at number two was the much rnore wholesome Peter Rabbit with $25 million, and at number three was Clint Eastwood’s latest The 15:17 to Paris with $12.6 million. 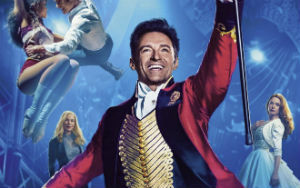 And rounding out the top five was The Greatest Showman with $6.4 million. The rest of the top ten was filled out with Maze Runner: The Death Cure, Winchester, The Post, The Shape of Water and Den of Thieves. The commercial success of the Fifty Shades trilogy despite increasing critical disdain for each outing has led to rumours of adaptations of EL James’s spinoff novels. The author has already published reworkings of Fifty Shades of Grey and Fifty Shades Darker, this time from Christian Grey’s viewpoint, rather than Ana Steele, and is presumably working on the final part of the re-angled trilogy. But with the films presented objectively in the third person, there seems little dramatic justification to adapt the spinoffs. Jamie Dornan has already said that he’s not interested in playing Christian Grey in any new films they make for that very reason. The top 10 most downloaded movies on BitTorrent are in again. 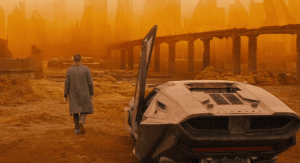 ‘Blade Runner 2049′ tops the chart this week, followed by ‘Coco’. 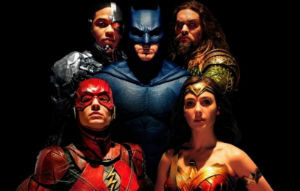 ‘Justice League’ completes the top three. Blade Runner 2049 is the most downloaded movie again.